Disney's Star Wars land: The good, the bad — and no Fast Passes? Star Wars fans are counting down the days till the opening of for the long awaited Disney Star Wars lands. 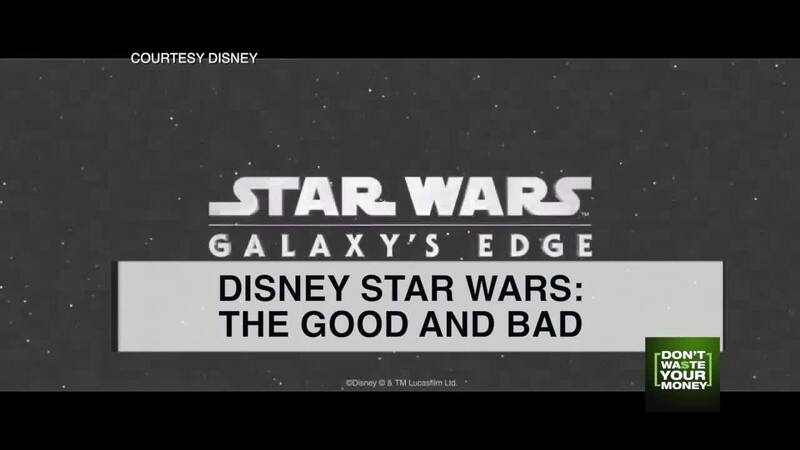 It'll be called Star Wars Galaxy's Edge . It will be the most anticipated theme park opening since Universal's Harry Potter world. The park-within-a-park opens in Disneyland California on May 31, and in Orlando, at Disney's Hollywood Studios, on August 29. But getting in those first weeks may not be easy. You can expect crowds, big crowds, despite another ticket price hike this spring to as much as $159 on peak days (though as low as $109 in the off season). The good news: it won't cost you any extra to visit Star Wars, it is included in your park ticket. But the bad news (at least for some guests): you will need a reservation. If you stay on site in a Disney hotel, you will have "first priority" for a reservation, Disney says. But it does not specifically say that a reservation at -- for instance -- Wilderness Lodge will guarantee you an admission ticket. But if you don't have a ticket through a Disney hotel, you'll have to plan and reserve well head, at least during the first month, according to Fortune magazine. And from the doesn't that stink file, planning a Disney vacation, then finding Star Wars land is sold out during your visit. If your family is locked out, you'll say "doesn't that stink?" Fortune Magazine says Disney may need to extend the reservation period well beyond the first few weeks, because it doesn't want the park overcrowded, ruining the experience. More bad news: Disney says there will be no Fast Passes for the Millennium Falcon, the ride that every Star Wars fan is waiting to experience. If you are thinking of booking a vacation to visit the new Star Wars lands, make sure you understand how ticketing works. Check with your hotel at the time of booking. You don't want to disappoint the kids at the gate, so you don't waste your money.